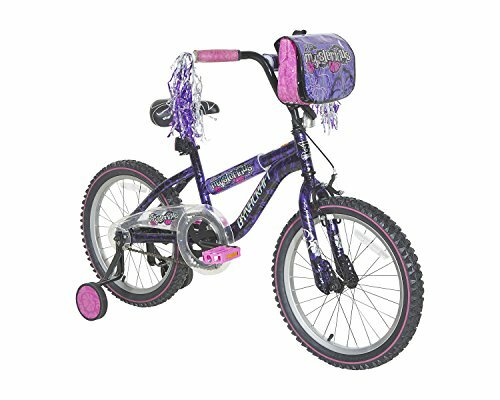 Any young rider will love riding the stylish and fun 18" Dynacraft Mysterious Girls' Bike. This girls' BMX bike features a durable steel frame and vibrant floral logos. It also includes a front caliper hand and rear coaster brake to give the rider improved control. This 18" girls' bike includes single-speed gearing and plastic pedals that will provide plenty of power to ride on flat surfaces and small hills. Steel BMX handlebars provide exceptional steering capability. This fun girl's bike also comes with a decorative, adjustable padded seat for a comfortable ride.